HAPPY NEW YEAR!!!! I’m not a resolution kinda girl. Yes, I could stand to lose my last 10 pounds and read more books that aren’t just about weddings but I figure, all in due time. Instead, I choose to reflect on the year prior, listing both the learning lessons and accomplishments, and that is what I try to build on in the new year. Let’s take a look at some of the highlights from 2012. SocialBFly participated in the first bridal showcase hosted by Weddings For Heroes – a NJ charitable organization that provides dream weddings to Combat wounded military personnel, Combat Veterans and active duty military facing hardships at no cost to them. Did I mention this was also our first time participating as a vendor in a bridal showcase? See more from this experience in SocialBFly About Town: Weddings for Heroes Bridal Showcase. 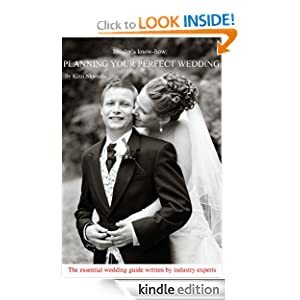 We were featured and included as a contributing author in the 2012 wedding book: Insiders Know-how: Planning Your Perfect Wedding. We were honored to be listed among some of our esteemed wedding colleagues including Ariane Fisher of Storymix Media and Desiree Mondesir of Desired Assistance Weddings. The e-book is currently available on Amazon. Why not, read an excerpt. The presidential race wasn’t the only race being run in 2012. We were fortunate to be included in the Wedding Industry Experts annual Wedding Planner of the Year competition and you voted us #1 in Roselle Park (Union County). I know I’ve said it before but, Thanks guys…you make a girl feel good! Looking back at our year in numbers – 14 events and special projects were flawlessly executed and 27 new blogs were posted on Behind the Veil, Beyond the Vows – our most popular post of the year was Hostess How-To: Setting The Perfect Table for A Dinner Party. We ended the year with 188 LIKES on our Facebook page, 1458 followers on twitter, and 142 amazing inspiration boards on Pinterest. Thanks to everyone that makes our social media efforts worthwhile! Last but not least, 2012 also marked the second straight year that SocialBFly has been Wedding Wire rated! Thank you, thank you, THANK YOU!!! This is where we will build from in the new year. 2013 has an exciting horizon and we promise there is more in store for our readers, partners and clients. Look out for our new website coming in February as well as our series of NJ and PA wedding workshops, feature guest bloggers, and bridal showcase appearances throughout the tri-state area. Stay tuned…if you aren’t following us, you really should be. We’re also happy to welcome new couples N&T, P&R, N&D, and L&B into the SocialBFly family and are looking forward to being a special part of their 2013 nuptials. So cheers to a 2013 that is filled with enormous success, energy and gratitude….and, CHEERS to love!! Happy New Year!